Here’s a question for you: Do you think that movies can thrive on their limitations? I think they can. The series 24 takes place in real time – Jack Bauer is very aware of the tick-tock of the clock. The movie Buried is set entirely in a coffin. The movie Russian Ark consists of one single 99-minute shot. These limitations are technical, wilfully compressing their stories in temporal or spatial ways and also in the way they get made. It’s a risk: if you don’t like watching a man lying in a coffin for feature lenght, then you won’t like the whole movie. There is no B-story here. Of course, there can also be dramatic limitations. The movie Compliance is about the staff of a fast-food restaurant where the shift manager gets a phone call from a cop who tells her to detain one of her employees because she might have stolen the purse of one of their patrons. The cop asks more and more of the manager, the employee keeps insisting that she is innocent. It’s basically two women in a backroom, one of them receiving orders over the phone. The movie loses all tension when the cop is made a visible character in the film. Movies with such huis clos situations need perfect casting. Robert Redford is great in All is Lost. Jack Bauer is saving London, and it’s his ninth day. Buried is a good enough movie, but I don’t think Ryan Reynolds is the right choice for the role. Ann Dowd and Dreama Walker are fantastic in Compliance as long as the cop is only a voice over a phone. 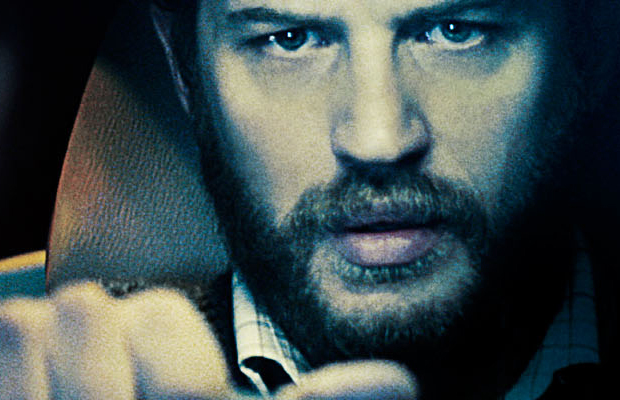 If you like Tom Hardy, then Locke might be a movie for you. It shows you a character by the name of Ivan Locke, probably named after the syndrome, because he is the only visible character you are going to see in the next 85 minutes. He is a construction manager, driving in his car from Brighton to Croydon. The only communication he has is over his carphone. On a very basic level, that is all that happens: a bloke driving and talking over the phone. It’s Tom Hardy’s acting that turns Locke into a really good movie. Locke seems very detached at first, almost distant. He backs out of his job, takes care of the woman he got pregnant and then tells his wife about his affair. All in his car, all over the phone. It sounds pretentious, and in about 38 ways, it could all be handled the wrong way. Tom Hardy finds the right mood; I never got tired of looking at him or listening to the conversations he has. I wanted to know what he did next. Some people think that the plot is too thin and everyday. I disagree. The movie does not push your credibility, but it leaves you to think about what you would do were you behind the wheel. There’s another thing Locke made me aware of. Going in, I knew that Olivia Colman would be one of the voices I was going to hear. I thought she would play Locke’s wife. I was wrong. I was also surprised by who played Katrina, Donal, and Gareth, and Eddie, and Cassidy. I only realized whose voice I had been listening to when I read their names in the end credits. Which just goes to show that we mostly rely on someone’s looks first, and their voice second. If Locke has a flaw, it’s that it shows us slightly too many blurred traffic lights and half-lit cityscapes, but that’s a minor thing for a movie that decides to use very few resources and does a lot with it.